“Javelin catcher, confidant, consigliere, battlefield commander.” These are some common roles undertaken by the White House Chief of Staff. 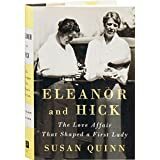 Biography, Autobiography & Memoir, Political, Historical, History, U.S.
Susan Quinn’s new book addresses a facet of Eleanor Roosevelt’s life that has been hinted at but never fully developed. In the opening pages of March: Book Three, the 16th Street Baptist Church in Birmingham, Alabama has just ended its Sunday school lessons when a bomb explodes. Such is the level of horror coming out of the conflict in Syria and Iraq that people have become numb to the statistics. Karl Rove is famous for his role in modern political campaigns. The history of the United States is not only a parade of rugged individuals and hardy pioneers, but one of family dynasties, entrenched power relations, and colossal wealth. Ambassador Eleni Tsakopoulos Kounalakis, who quickly becomes “Madam Ambassador,” starts her memoir with a bang. Shortly after starting her post as the first Greek-American to serve as a U.S.
Barney Frank came to Washington with Ronald Reagan in 1980. There ends any similarity between them. “Peace, They Say makes us consider the complexity of war and peace. “Indomitable Will is an instant classic . . .